Functional appliances are an orthodontic option for adults and children to help reshape the jaws as well as reposition the teeth. When properly used, these appliances can avoid potential for TMJ problems, and can help with sleep apnea treatment and prevention because they help expand the airway. Functional appliances are not an alternative to braces in most cases, but they’re a valuable complement that can improve results and reduce the amount of time spent in fixed braces. Do you want to learn whether functional appliances are the right orthodontic treatment for you? 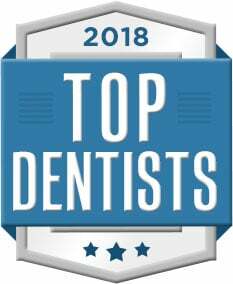 Please call 201-343-4044 or email to schedule an appointment with River Edge dentist Dr. Marlen Martirossian at the River Edge Center for General & Cosmetic Dentistry. Twin Block is used to correct jaw position, especially a retruded lower jaw. It uses two blocks, one for the upper jaw and one for the lower, that lock together, securing the lower jaw forward. In addition to moving the lower jaw forward, Twin Block can also help expand the jaw width through the use of midline screws. Because this appliance is removable, it’s only effective with adults and children who are dedicated to their treatment. MARA (midline anterior repositioning appliance) can be a better treatment option for people who aren’t compliant or dedicated to their treatment. MARA also serves to advance the lower jaw, but it does so using an appliance that is soldered to stainless steel crowns on the first molars. It has the advantage of being a very discreet appliance, since it’s small, and it allows simultaneous use of braces to speed treatment and results. Because MARA is fully fixed and cannot be removed, it has a very high success rate. There are two different sagittal appliances available. The anterior sagittal appliance is used to correct crossbite in the front of the mouth. This is primarily accomplished by moving the upper incisors forward to open up the bite and correct the crossbite. The appliance is adjusted gradually twice per week to avoid potential discomfort. Successful use of this appliance early can potentially avoid the need for surgery later on. The posterior sagittal helps correct crowding caused by molars that are too far forward along the dental arch. Screws are used to push molars backward, with a set of screws just forward of each molar to be moved backward. As with the anterior sagittal appliance, small twice-weekly adjustments allow for gradual, gentle movement. Successful use of the posterior sagittal appliance can eliminate the need to extract teeth to resolve crowding. The Hyrax appliance is a fixed appliance that helps expand out the dental arch. The hyrax is secured to the first molars with bands, and on other teeth using composite. The hyrax has a screw in the middle that is turned gradually, twice a week, in order to gently push the dental arch out and increase the size of the jaw. Hyrax can also be used with a habit crib. The habit crib is an additional metal portion of the appliance that helps prevent habits like tongue thrusting or thumb sucking that may contribute to orthodontic problems. The tandem appliance is used to help correct small upper jaws that give the appearance of a sunken profile or jutting chin without surgery. The upper part of the tandem appliance is hyrax appliance that has two metal hooks to allow for elastics attached to the lower portion. The lower portion of the appliance is a removable appliance that is a simple bow that is inserted into buccal tubes attached to the first permanent molars. The elastics are used to pull the upper jaw forward and encourage additional development. The Rick-a-Nator is used to reduce the amount of overbite, encouraging the development of a healthy jaw position and attractive profile. The Rick-a-Nator has an incisal ramp behind the upper incisors. This encourages the lower incisors to rest further forward, gradually changing a large overbite into a less significant overbite. The ramp is secured to the first molars, so it doesn’t depend on patient compliance. The Rick-a-Nator can be used to treat an overbite of 4 mm, about a sixth of an inch. A straight wire appliance can be used to speed up treatment time. Schwarz appliances are used to expand either the upper or lower jaw.These removable acrylic appliances are divided into two halves that have expansion screws between them. The expansion screws are turned to put pressure on the dental arch, stimulating growth. The upper jaw appliance covers the entire upper palate, and is secured to the teeth with clasps. Sometimes, an anterior labial bow can be used to help correct turned incisors. The upper appliance is sometimes designed with plastic that covers some of the biting surfaces of the teeth. The lower appliance is designed in a bow shape to allow room for the tongue. It holds close to the lower teeth, and none of the plastic covers the biting surfaces of the teeth. The lower appliance is held in with clasps, and sometimes crossover wires can be used to help move the front teeth forward. Are Functional Appliances Right for You or Your Child? If you think you or your child might benefit from these types of functional appliances, please call 201-343-4044 or email for an appointment with Dr. Marlen Martirossian at the River Edge Dental Center for General & Cosmetic Dentistry.